Rice farmers on the Essequibo Coast are being advised to be judicious in the use of irrigation water over the next few weeks as the water level of the Tapacuma Conservancy has dropped significantly due to minimum rainfall during this rainy season. The National Drainage and Irrigation Authority (NDIA) has said that despite their pumps working beyond the scheduled operating hours, the level of irrigation water in the main canal continues to be insufficient to adequately service all rice fields in both the front and back lands areas. 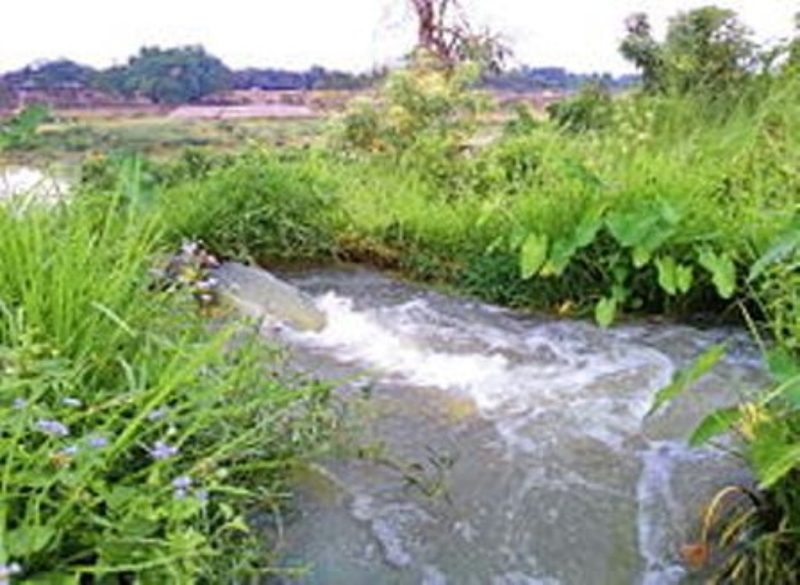 NDIA Region Two Engineer, Mr. Nanram Narine, said that low level of rainfall this rainy season has significantly affected the authority’s irrigation abilities. “As a result, the water level in the Tapacuma Conservancy is very low. We are utilising the Dawa Pump Station to pump water from the Pomeroon River into the Tapacuma Conservancy. We have also extended the pumping hours and, should the need arise, we will have to extend those hours further,” Narine said. While the authority is working towards ensuring that farmers in the front lands, who are mainly affected, receive sufficient irrigation despite the cost, NDIA CEO, Fredrick Flatts is urging farmers to be responsible with their water usage. “We are cognisant of the additional cost this will incur to a system already constrained at this time of the year but, at the same time, we are aware that the livelihoods of many rice farmers would be affected if their fields are not properly irrigated and we are working to ensure that does not occur,” Flatts said. This year, NDIA has been awarded a budgetary allocation of $7.5B to be used to execute its capital and recurrent projects. In this regard, vulnerable areas, such as Pomeroon and Friendship, East Bank Demerara, will receive $30M each for rehabilitation work to reduce flooding in 2019. The NDIA continues to plan and implement systems to adapt the highly vulnerable and high risk areas of the country to the effects of climate change, while developing new areas for agriculture purposes. The authority currently oversees the operation of 134 drainage pumps in Guyana. In 2019, the NDIA will add 11 new fixed pumps, three now mobile pumps, and rehabilitate eight pump stations to the D&I network. This will benefit approximately 39,000 acres of rice and cash crop cultivation, and cattle, in addition to the close by villages. Residents in Hampton Court and Devonshire Castle in Region Two; Den Amstel in Region Three; Hope and Nooten Zuil in Region Four; Trafalgar and Mora Point in Region Five; and Rose Hall in Region Six will soon benefit from the placement of the fixed pump within their communities which will help to restrict flooding.